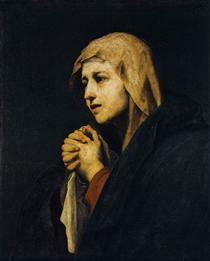 Jusepe de Ribera (baptized February 17, 1591; died September 2, 1652) was a Spanish Tenebrist painter and printmaker, also known as José de Ribera and Josep de Ribera. 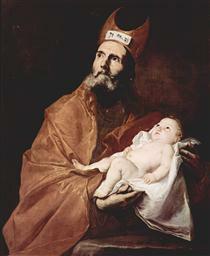 He also was called Lo Spagnoletto ("the Little Spaniard") by his contemporaries and early writers. 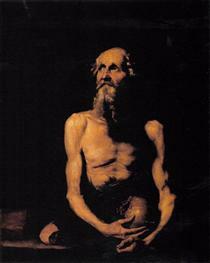 Ribera was a leading painter of the Spanish school, although his mature work was all done in Italy. 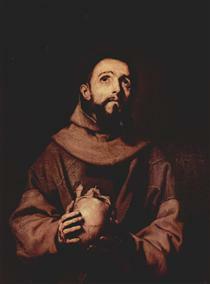 Ribera was born at Xàtiva, near Valencia, Spain. 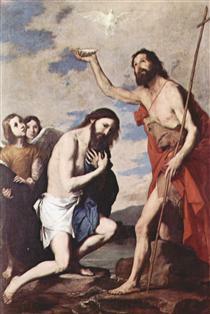 He was baptized on February 17, 1591. His father was a shoemaker, perhaps on a large scale. 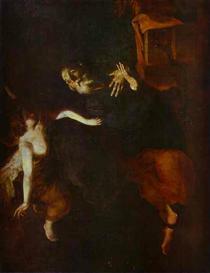 His parents intended him for a literary or learned career, but he neglected these studies and is said to have apprenticed with the Spanish painter Francisco Ribalta in Valencia, although no proof of this connection exists. 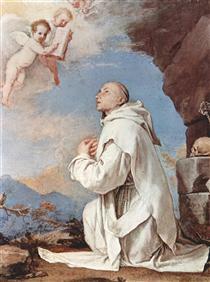 Longing to study art in Italy, he made his way to Rome via Parma, where he is recorded in 1611. According to one source, a cardinal noticed him drawing from the frescoes on a Roman palace facade, and housed him. 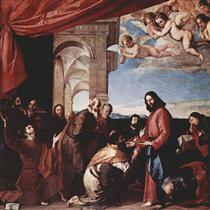 Roman artists gave him the nickname "Lo Spagnoletto". 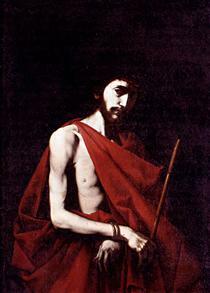 His early biographers generally rank him among the followers of Caravaggio. 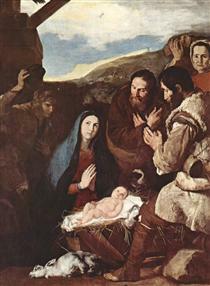 Very little documentation survives from his early years, with scholars speculating as to the precise time and route by which he came to Italy. 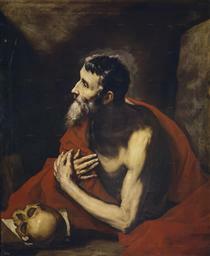 Ribera was living in Rome no later than 1612, and is documented as having joined the Academy of Saint Luke by 1613. 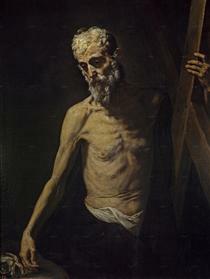 He lived for a time in the Via Margutta, and almost certainly associated with other Caravaggisti who flocked to Rome at that time, such as Gerrit van Honthorst and Hendrik ter Brugghen, among other Utrecht painters active in Rome by 1615. 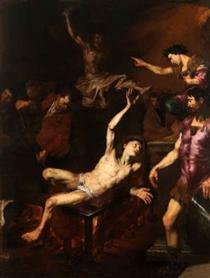 In 1616, Ribera moved to Naples, in order to avoid his creditors (according to Giulio Mancini, who described him as living beyond his means despite a high income). 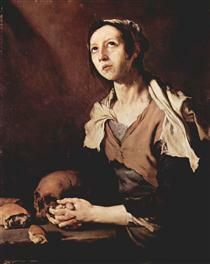 In November, 1616, Ribera married Caterina Azzolino, the daughter of a Sicilian-born Neapolitan painter, Giovanni Bernardino Azzolino, whose connections in the Neapolitan art world helped to establish Ribera early on as a major figure, whose presence was to bear a lasting impact on the art of the city. 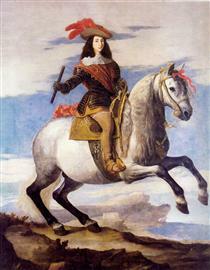 The Kingdom of Naples was then part of the Spanish Empire, and ruled by a succession of Spanish Viceroys. 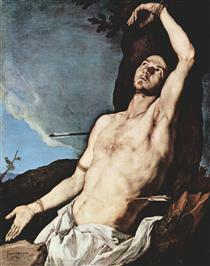 Ribera moved to Naples permanently in the middle of 1616. His Spanish nationality aligned him with the small Spanish governing class in the city, and also with the Flemish merchant community, from another Spanish territory, who included important collectors of and dealers in art. 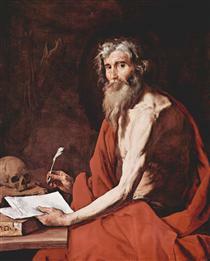 Ribera began to sign his work as "Jusepe de Ribera, español" ("Jusepe de Ribera, Spaniard"). 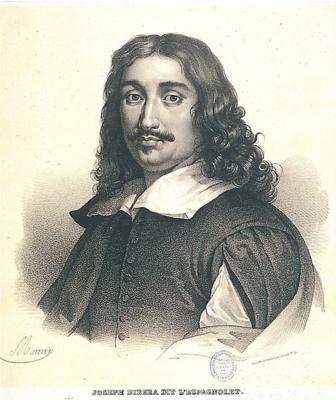 He was able to quickly attract the attention of the Viceroy, Pedro Téllez-Girón, 3rd Duke of Osuna, also recently arrived, who gave him a number of major commissions, which showed the influence of Guido Reni. The period after Osuna was recalled in 1620 seems to have been difficult. 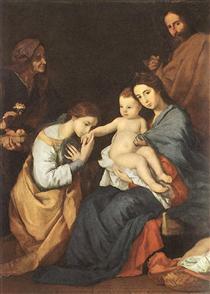 Few paintings survive from 1620 to 1626; but this was the period in which most of his best prints were produced. These were at least partly an attempt to attract attention from a wider audience than Naples. 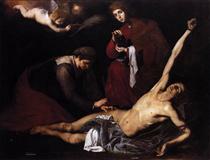 His career picked up in the late 1620s, and he was accepted as the leading painter in Naples thereafter. 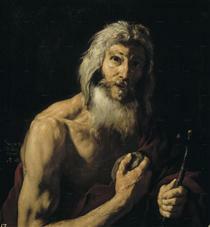 Ecce Homo Jusepe de Ribera ?